The fleshy round tubers of the arrowroot plant produce an edible starch after processing, which is then ground into a fine powder. 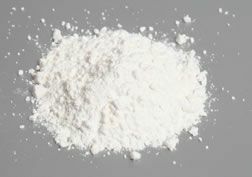 The powder is used in cooking as a thickener in much the same way as cornstarch or flour is used. 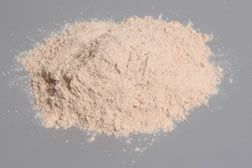 Unlike cornstarch, arrowroot will not develop a chalky taste if it is undercooked, however if it is overcooked, it will become thin and lose its thickening properties. Arrowroot has about 50% more thickening power than wheat flour. It can be cooked at a low temperature, which makes it very suitable for sauces containing eggs. When cooked, it is tasteless and becomes transparent, making it a good thickener for clear fruit sauces. It is often used to thicken glazes, fruit pie fillings, puddings, and sauces. It is also used in commercially prepared ice cream to prevent the formation of ice crystals. Arrowroot may also be referred to as Chinese potato or goo. 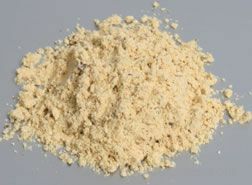 Potato flour is made from cooked, dried, and ground potatoes. It is used as an ingredient in potato based recipes to enhance the potato flavor and is often mixed with other types of flour for baking breads and rolls. It is also used as a thickener for soups, gravies, and sauces. 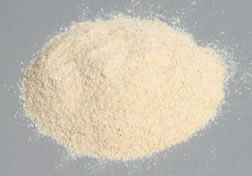 Potato flour is often confused with potato starch, but potato flour is produced from the entire dehydrated potato whereas potato starch is produced from the starch only. 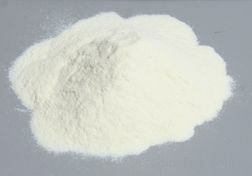 Potato starch flour is produced only from the starch of the potato. 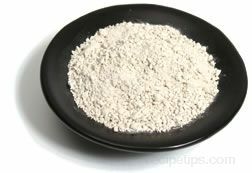 It is a very fine powder and can be used with other types of flour for baking. It can also be used as a thickening agent similar to arrowroot or cornstarch. The best results are achieved if it is mixed with water first. 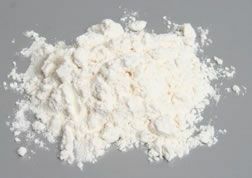 Potato starch flour is often confused with potato flour, but potato flour is ground from the entire dried potato and is much heavier and denser. 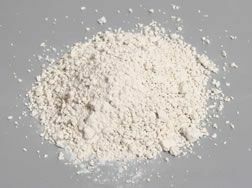 Sweet potato flour is produced from white sweet potatoes and is dull white in color, stiff in texture, and has a somewhat sweet flavor. 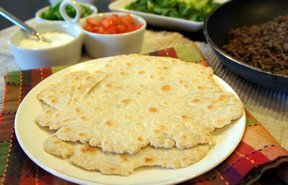 It is high in fiber and contains a higher level of carbohydrates and lower level of protein than common wheat flour. It can be used for baked goods, such as breads, cookies, muffins, pancakes, and doughnuts, and as a thickener for sauces and gravies. 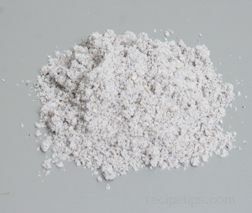 Flour ground from water chestnuts is used more as a thickener and a coating for foods rather than as an ingredient for baked goods. The water chestnut is the edible tuber of an aquatic plant that grows along the muddy edges of lakes, ponds, rivers, and streams and is cultivated commercially in flooded fields. 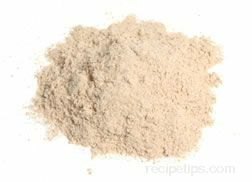 Water chestnut flour is usually stirred into water before adding to hot liquids and sauces for use as a thickener. 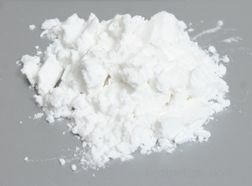 This technique reduces the formation of lumps that may otherwise occur (similar to cornstarch). Foods that are to be fried can be dredged in water chestnut flour to create a coating on the food. 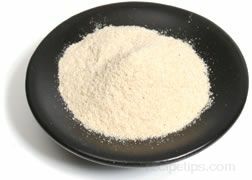 Yam flour is produced by grinding dried yams into a powder. A yam is a hearty tuber that does not have the sweet taste of a sweet potato, but instead may have flavors that range from bland to earthy, slightly smoky in taste, or nutty and only moderately sweet.